under Debian / Ubuntu it is quiet easy. 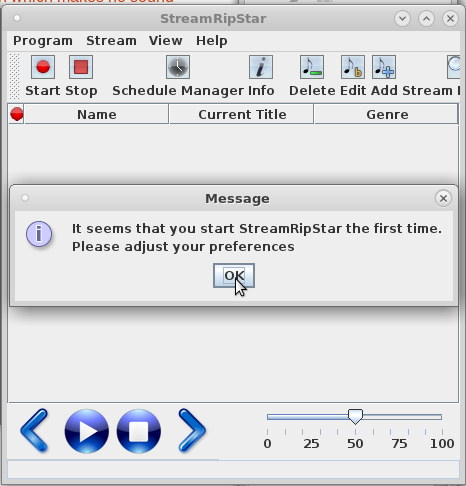 All GUI programs are based on streamripper. there is no pre compiled package for Centos7 / Redhat, so you will have to compile it yourself, but because you are a pro you can do it. # where is the binary? -u useragent   - Use a different UserAgent than "Streamripper"
-w rulefile    - Parse metadata using rules in file. 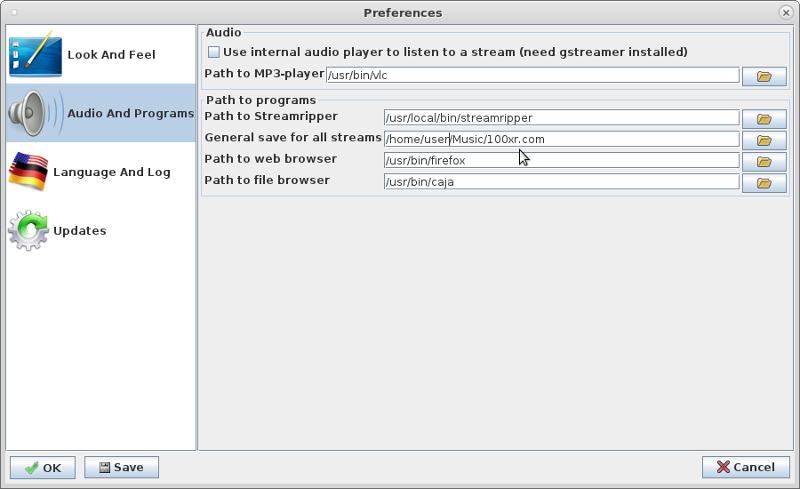 /usr/local/bin/streamripper http://100xr.com/listen/100xr-he-aac.pls -d /home/user/Music/WebRadio/ -o larger -t -u "FreeAmp/2.x"
you will need some form of javaruntime installed, java did crossos support quiet nicely, so you can run this on OSX, Windows and Linux, not a problem. # THANKS TO ALL INVOLVED! IT'S INCREDIBLE! 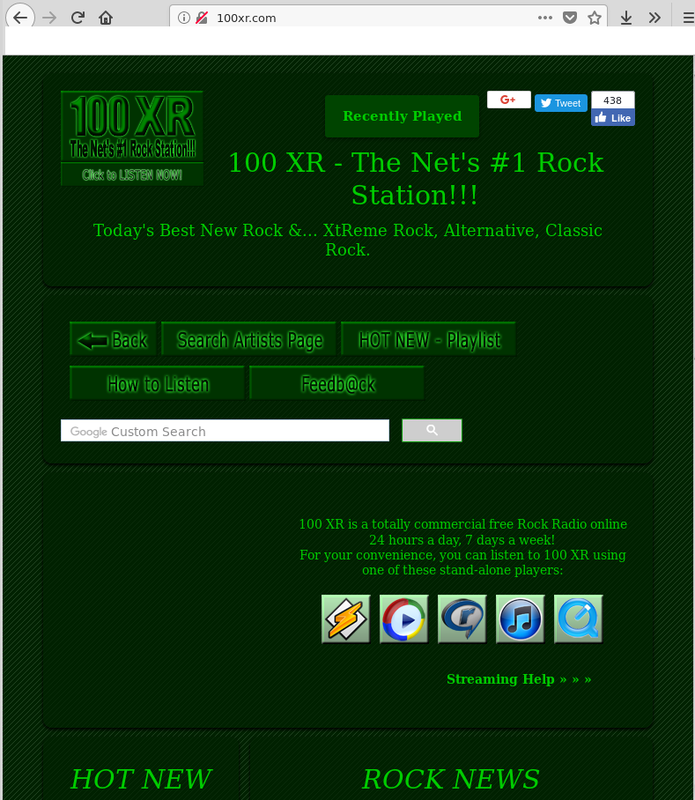 # 100 XR - The Net's #1 Rock Station!!! HE-AAC stream ROCKSSS! an independent rewrite and runs on Python; is therefore easier to extend. overview. The station lists and table columns are less configurable currently. 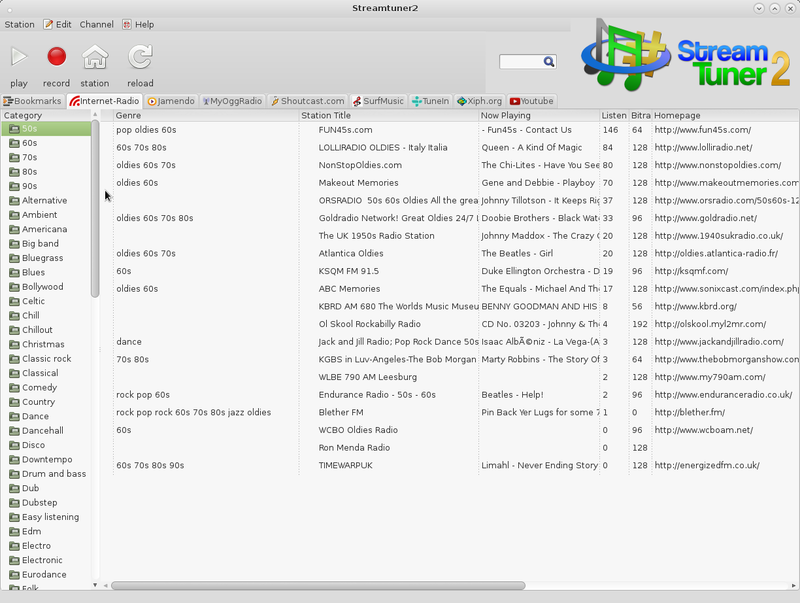 radios without invoking the GUI, and also supports exporting the station lists as JSON. 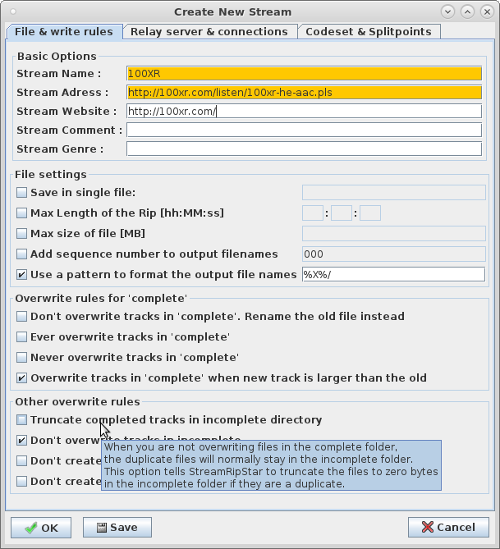 An experimental yp.shoutcast wrapper module for streamtuner1 is also there. first, and is not guaranteed to run. There are a few plugins which aren’t distributed with the default package. Now available in the repo under contrib/. Revision history (source control management) is kept in a fossil repository.